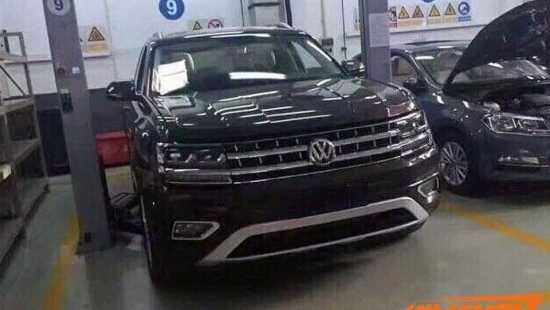 A very exposed large SUV from Volkswagen has been spotted testing out in China. The North American market hasn’t seen or heard much about the large three rowed SUV since the concept vehicle debuted at the Detroit Auto Show back in 2013. With the SUV market being so dominant in North America, it is still a wonder if the large SUV will make it onto North American soil. Curiously, the vehicle is first spotted in China before the US given the great demand of these types of vehicles here. Currently the car spotted in China is called the Teramont, but it will likely get rebadged if it hits North American soil. Not shockingly, the production car looks a lot like the CrossBlue concept. True to current VW standards, the front headlights get the full LED package and the angular design element continues to the rear. The Teramont really looks like a jacked up version of the current generation Passat that’s available in the European market. Here’s to hoping that we get another SUV in the Volkswagen lineup because as it stands it’s a little thin.